Just from talking with Kara via email & seeing her sense of style and plans for our shoot, I knew we would click immediately! And I was right - her & her husband Jake are so down to earth and fun! We spent a Sunday evening right at golden hour at beautiful Middle Creek in the midst of the wildflowers. We had a pathway to ourselves that was lit up golden, and it was spectacular! Their 4 year old Kenleigh was such a HAM and I loved it!! She knew how to strike a pose, hands on hips and everything! 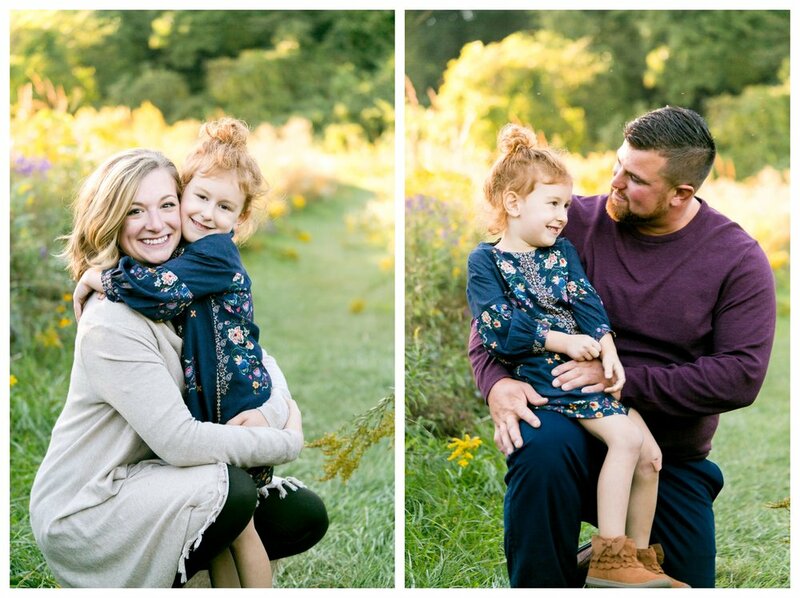 While baby Kate had some struggles (as a 1 1/2 year old in a new setting that's a little chilly with a camera nearby, let's be honest, I'd be skeptical too! ;) ), you'd never guess it from the shots we were able to get. I truly had a great Sunday evening with this lovely family! Just look at all of those smiles!! 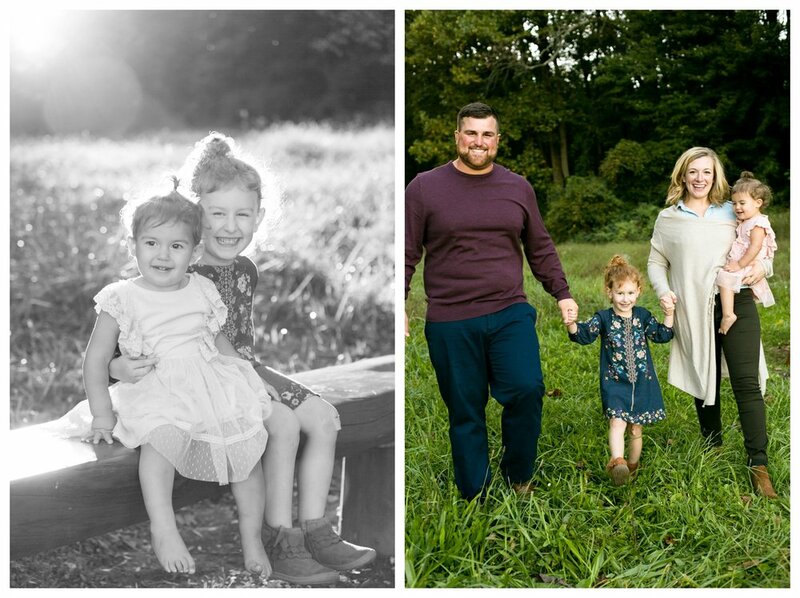 I'm so happy I got to capture this awesome family's precious moments, and am able to give them the gift of always remembering their littles at this age. And a shot of just Kara & Jake in that golden light, so sweet! Those smiles! I love it! 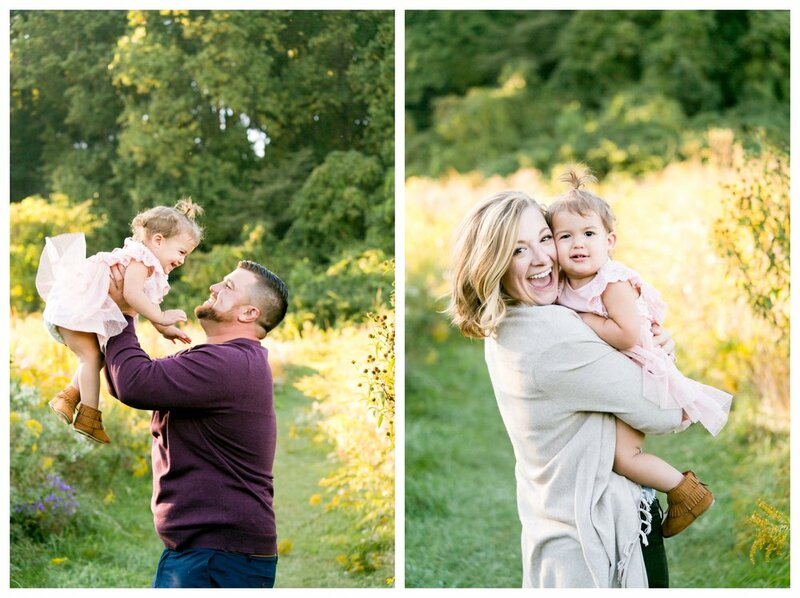 So good, I just love lifestyle sessions and getting to capture moments, movement & emotions for my clients. Thanks again Kara & Jake! For sneak peeks of sessions, behind the scenes photos & more, make sure to follow KMP on instagram & facebook!